VANCOUVER — Independence Day at Fort Vancouver presented by Bank of America has changed from previous years and is now more focused as an evening event on Tue., July 4. Main stage entertainment will start at 6 p.m. and there will be limited activities onsite. The Prime Viewing Area will no longer have a separate stage or beer garden. Because of this, the Prime Viewing ticket price has dropped from $60 to $50 for adults and $25 for youth ages 6-17. All tickets are non refundable. Children 5 and under are free with an accompanying adult. 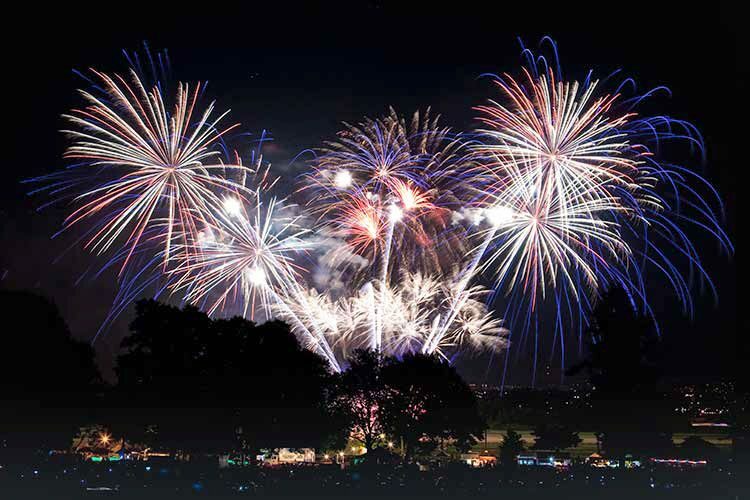 Located just a few hundred yards from the fireworks, the Prime Viewing Area provides a front row experience, exposing attendees to the sights, sounds, smells and feel of the fireworks display directly overhead. The area is located just south of the Pearson Air Museum, along the edge of the Pearson Field from where the fireworks are launched. Attendees are encouraged to bring a lawn chair and grab a front row seat for the best show in town. The Prime Viewing Area will open at 6 p.m. This is a family friendly event. No alcohol will be served or allowed onsite. Independence Day at Fort Vancouver will take place on the lush lawns of the Fort Vancouver National Site. The event is celebrating 54 years of providing the community with an exceptional fireworks display. The event will include arts and crafts vendors, food vendors and commercial vendors. Fireworks will launch at 10:05 p.m. and the event closes at 10:30 p.m.